Tell all your friends! It's time for football! Come out and enjoy some football! Come watch these future high school players! LET’S GET READY FOR FOOTBALL!! SIGN UP FOR THE 2019 SEASON (PLAYED IN THE FALL OF 2019) ARE AS FOLLOWS: Kalispell, Flathead valley area and Polson will sign up Thursday April 25th and Friday April 26th from 6-9pm and on Saturday April 27st from 10am to 2pm. Please note: There are no separate sign-ups for Polson. Every area will now sign-up during the days and times listed above. Signups are at the Kalispell Center mall. Player and parent or legal guardian must attend and a $90 player fee is due at this time. Please remember that there are no late sign ups so you must make one of these days to be placed on a roster. If you are wanting to receive free updates on important Flathead Valley Football dates, please use the sign-up on the right and start receiving those updates. 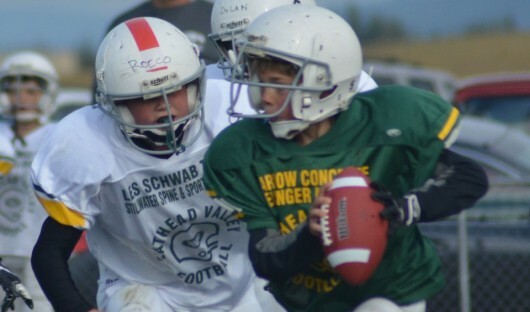 Flathead Valley Little Guy Football is open to all kids entering the 4th, 5th or 6th Grades in the Fall of 2019. This tackle football program strives to teach the fundamentals of football. The 2019 season, which is played in the Fall of 2019, runs from mid-August through mid-October. 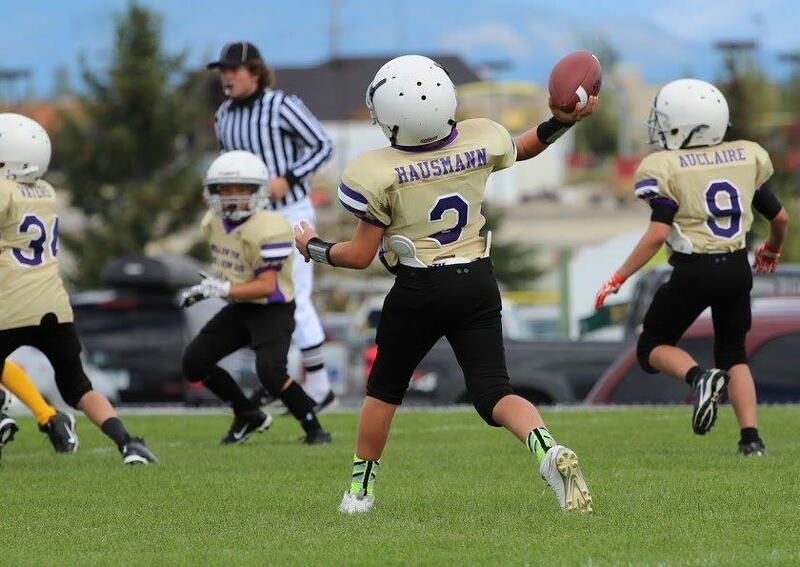 All games are played on Saturdays at our fields at the KidSports complex in Kalispell. It is a 6 game season. Teams are based on grade, so for example, only 4th graders will be playing against 4th graders, etc. All players get to play both offense and defense in each game. The Little Guy Football program is entering its 22nd year in 2019! Thousands of kids have been through the program and have enjoyed learning the fundamentals of football. Your email is not shared and is only used for FVF Updates.